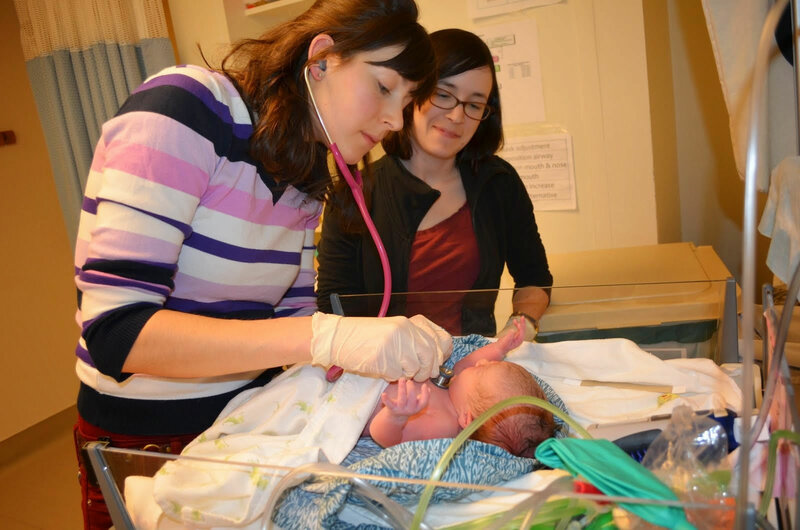 Ottawa Valley Midwives was founded in 1998 by Leslie Viets and Anne-Marie Carter-McAuslan. Since then, it has become a busy practice with nine midwives, serving both urban and rural clients. Each of our midwives is a graduate from the Midwifery Education Program (MEP) or the International Midwifery Pre-registration Program (IMPP). Our midwives have a range of experience, from new graduates to 18+ years in the field. We structure our model of care, so that as a client you can expect to receive care from 2-3 midwives and will have ample opportunity throughout your pregnancy to get to know and build a trusting relationship with your care providers. We have midwives who can provide care in English, French and Russian. In addition, we are a teaching practice and are committed to promoting the growth of midwifery in Ontario by providing learning opportunities for students of the MEP and IMPP. When midwifery students are involved in your care, they will join in prenatal and postpartum appointments and will be present at your birth. We have found that clients enjoy and benefit from student involvement, and we encourage you to discuss student participation with your midwives. Our clinic is located in Carleton Place, approximately 20 minutes west of Kanata. Our catchment area encompasses west-end Ottawa, Lanark County and the Ottawa Valley, and we are committed to providing care to women who live rurally. We have a spacious and modern facility for clients and their families to come and meet with midwives. Our waiting room has toys and books for children, as well as a lending library with resource materials regarding pregnancy, birth, postpartum, lifestyle and child rearing. For appointment information, please visit the Scheduling Appointments page. For information about where you can choose to give birth, please visit the Choice of Birthplace page.